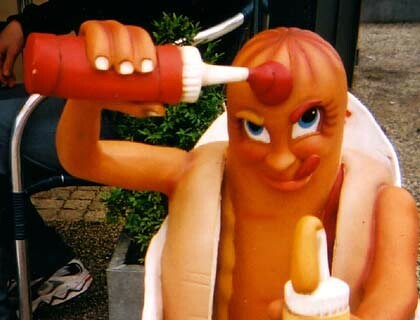 Hot Dog with ketchup, the perfect combination. I'm not too keen on mustard though. Amsterdam 2001. To see more idle idols visit www.idleidol.net/.